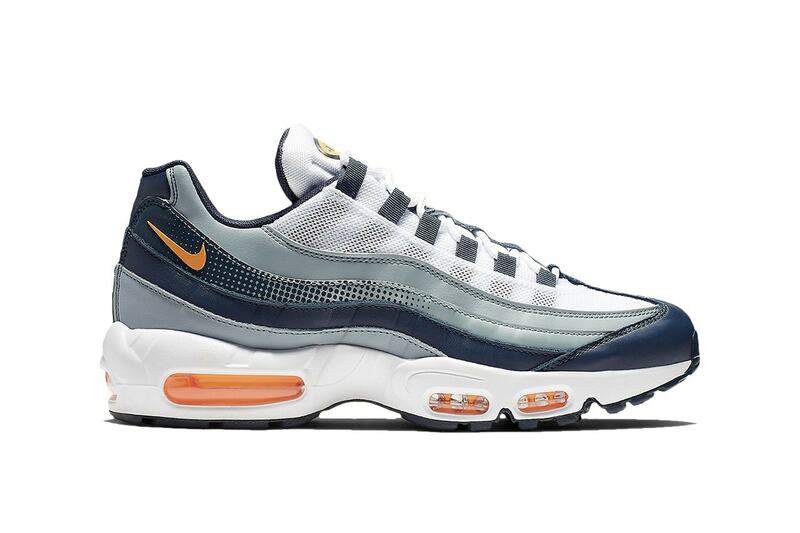 Since it’s debut in the ’90s, the Air Max 95 has taken on many different colorways throughout the years. For this iteration, the shoe looks to be bathed in Midnight Navy and highlighted with Laser Orange tints. 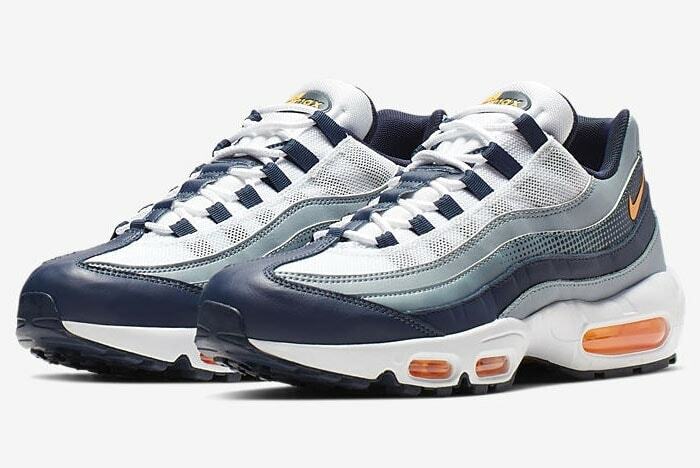 There’s no question that the Air Max 95 is one of the best Air Max’s to date. Throughout its course, Nike has always paired it with fresh new colorways that many sneakerheads quickly eat up. 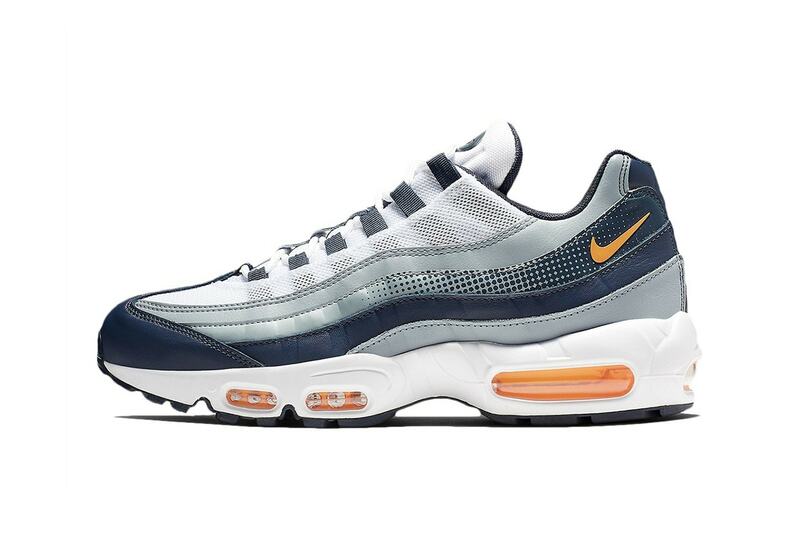 With retro sneakers being heavily brought back, the 95 has been allowed to shine and see quite a few releases over the past few months, including this new “Laser Orange” iteration. First, the sneaker was constructed by Sergio Lozano, a designer that has been with Nike for many years. The upper takes on a crisp white mesh but the color scheme quickly begins to change as grey and midnight navy take turns layering on top of each other on the wave side paneling. Also, the second layer of this design contains a gradient dot design which is new and has never been seen before. The Nike swoosh is then plated just below the ankles in Laser Orange. 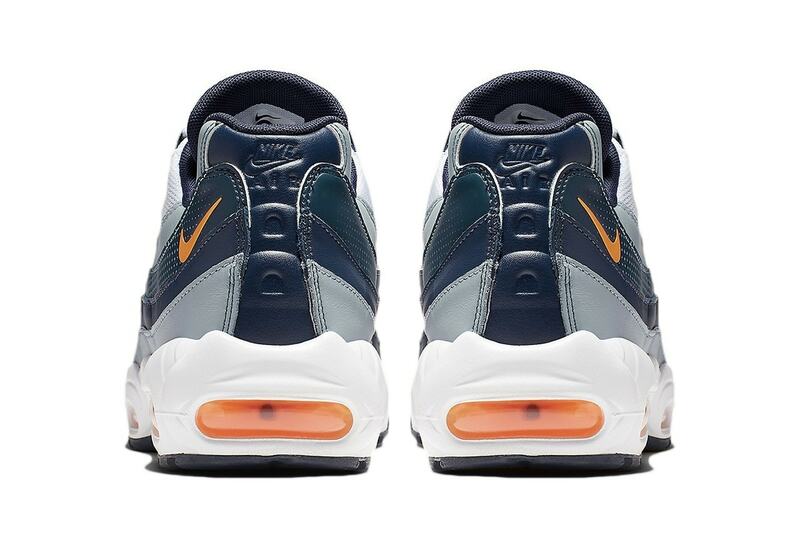 Finally, the shoe sits on top of a white midsole that again is highlighted with Laser Orange on the Air Max unit. No release date has been announced as of yet but expect them to arrive sometime very soon. The shoes will likely keep the retail price of $160 and drop at select retailers and Nike.com. Check out more images below and as always stay tuned to JustFreshKicks for other Nike related news.